Better Feed is a WordPress plugin that allows the blog owner to add a custom footer to the end of each post in their feed. This a great way to customize what your readers see when they only read your feed, and don’t click through to your site. Add text and links back to your site or blog. Add an advertisement, promotion or other call to action (CTA). Add in tags, categories, comments, author and other post specific items. Design it as you want. After being a fan of Copyblogger and other projects, Brian Clark was kind enough to do a panel on SEO I was moderating at BlogWorld. 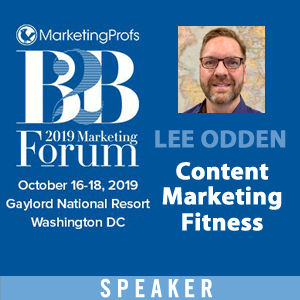 Then I ran into him again recently at Affiliate Summit thinking each time what a great thing it would be for our readers to do an interview with him for Online Marketing Blog. Brian is a fantastic writer and marketer, recovering attorney and someone that over 50,000 people have decided to subscribe to at copyblogger.com – one of the most popular blogs on the internet. Brian has a lot of what people want: knowledge, talent and success. Read on to tap into some of that Copyblogger goodness. How did you go from being a lawyer to an internet entrepreneur? Note from Lee: GasPedal and the blog council have partnered to deliver another BlogWell event (this time in Chicago) focusing on case studies from large companies on the topics of blogging, social media and online community building. I am pleased to introduce a guest blog post from Tonja Deegan, winner of a free pass from TopRank, who was a media sponsor of the event. Enjoy! A common thread that wove through the case study presentations at BlogWell was that the majority of the time, someone within a company took a chance, started something small online to make a connection and watched it grow. 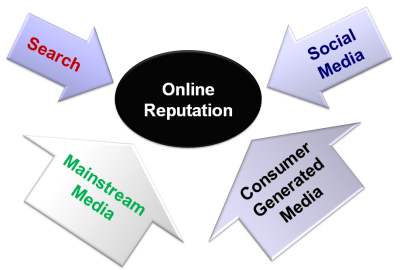 One of the best examples of the convergence happening between search engine optimization, social media and digital public relations is online reputation management. This is a topic very close to home not only because our marketing agency emphasizes these practice areas, but because the need for brand and reputation management continues to increase in importance as consumer time spent on the social web replaces traditional media. Recently I presented on a panel at Affiliate Summit West on the topic of online brand management and it was eye opening for many merchants and networks what goes into a good brand monitoring program. Companies spend huge budgets, time and resources building their brands and reputation. Not paying attention to that investment can be disastrous. Twitter seems to be taking over the web. Everyone seems to have a Twitter account, or two, even President Obama. With all the fanfare surrounding Twitter, there are many ways to integrate Twitter even more into your blog. Here are a few tools get you started. Tweet This – Tweet This is simply a link integrated into your blog posts that make it easy for users to click on and post your post to Twitter. Think of it like a social bookmark icon, only for updating Twitter instead. You may already even have this integration via a ShareThis or AddThis button. It’s quick and simple and every blog should have this. 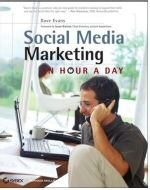 Recently I came across the new book by Dave Evans, Social Media Marketing An Hour a Day. It’s one of the few marketing books I actually purchased in 2008 because it seemed thorough (as far as a book can be on a fast changing topic) and since so many publishers send us free copies to review. The notion of taking a slice of time per day to conduct social media marketing activities is such spot-on advice, that I wanted to bring more insights from the book author, Dave Evans, to our readers. In this interview Dave talks about the genesis of the book, thoughts on social media strategy, innovation, building a business case, practical examples and measuring success. Enjoy! Agencies and Eurpoean blogs make up most of our reviews of this week’s BIGLIST of search marketing blogs with several less than 6 months old. Blogs are a great way for agencies to demonstrate expertise as well as personality to help potential clients get a handle for who they might be working with. TopRank can attest to this after 5 years of writing our own agency blog. Saad Kamal – This is a very nicely designed SEO blog that covers industry news and tools with commentary/opinion, hot picks, and tips with a focus on search marketing for bloggers and small business. Saad lives in Malaysia but works for a SEO agency based in Toronto. 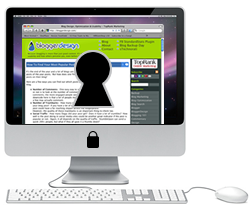 Keep your blog secure by adding in security keys. Keeping your blog secure is extremely important these days. So much so that new installs of WordPress ask the user to create four security keys. These keys help ensure that the cookies placed in your browser when logged in are not easily de-coded by would be hacker sites. Some pre-existing installs of WordPress may only have one or two security keys while others may have none. “Beginning with Version 2.6, three (3) security keys, AUTH_KEY, SECURE_AUTH_KEY, and LOGGED_IN_KEY, were added to insure better encryption of information stored in the user’s cookies. Beginning with Version 2.7 a fourth key, NONCE_KEY, was added to this group. One of the great things about the social web is the opportunity socialize offline as well as online. That is how I finally got the chance to meet Tac Anderson from HP during BlogWorldExpo. Tac currently leads social media activities across Hewlett Packard for both internal collaboration and external marketing. Tac is also the Entrepreneur in Residence for Highway 12 Ventures, an early stage venture capital firm, where he advises them on potential investment opportunities in the social media space. Tac blogs regularly at www.newcommbiz.com. 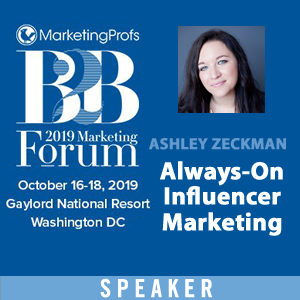 Build a strong following and community and you have an army of brand advocates, especially when those advocates have a voice and a following of their own. As companies and agencies become more savvy about monitoring the social web, it’s important to understand what stage each voice is coming from and where they might go. 1. Blogger mentions a brand – Sentiment could be anything: agnostic, positive, critical feedback, negative/dissenter. But it is hopeful and not cynical. Of course this is not an evangelistic activity, but it is often the starting point. 2. Blogger reviews product/service associated with topic, interviews topic author, reaches out and create dialogue. Whether you’re a marketer at a large Fortune 500 company or a small business, search engine optimization (SEO) can be one of the most cost-effective tools for reaching a broader audience and increasing online sales. A solid and persistent search engine optimization program can increase search visibility for many types of content affecting the bottom line: sales, customer service, recruiting, public and investor relations. Update! We have a winner. Cli.gs received 26% (88) votes with budurl.com coming in a close second. Congratulations! URL shortening services were initially popular because web addresses started to get long and links would break when sent in an email. However, as microblogging services like Twitter have become popular, an increasing number of services and applications, including tracking & metrics, have been added to the basic URL shortening features. 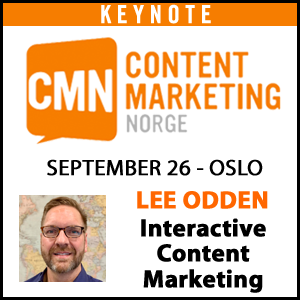 Recently I polled followers of @leeodden on Twitter about favorite URL shortening services and received a great response. Thank you to all who responded! So many people replied that the following mini-review was created of 11 different URL shortening services showing which offer customization options, statistics, 301 redirect and some of the other unique services like export to CSV, bulk shortening and displaying ads to monetize the traffic to links that are shortened. Enjoy!